In the last lesson we talked about a Cluster Stitch. 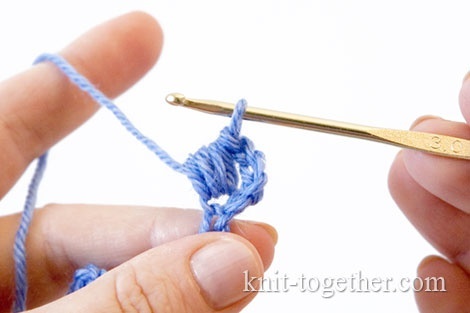 Today we continue the theme of the stitches from this family and will tell you about Bobble Stitch and Puff Stitch. These stitches are very beautiful and very suitable for floral motifs, blankets, hats and handbags. It's not easy to understand the puff stitches. The reason - the puff stitches could be made in different ways. But there is a common feature: the bundle of incompleted stitches has one base (made in the same loop) and common top (converges in one loop). 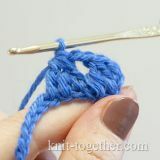 The base of the puff stitch can be done "in loop" or "in space" between stitches. 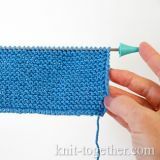 The fluffiness of the stitch depends on the number of incomplete stitches in the bundle: the more, the more fluffiness. And now more. 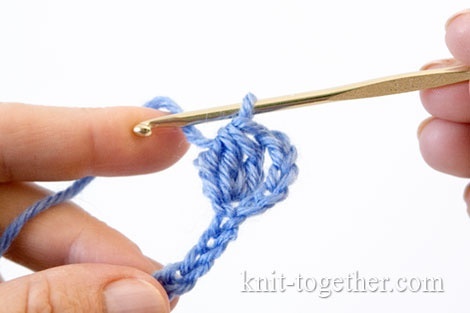 To make a Bobble Stitch is used uncompleted stitches, such as: double crochet (dc), treble crochet (tr) or double treble crochet (dtr). 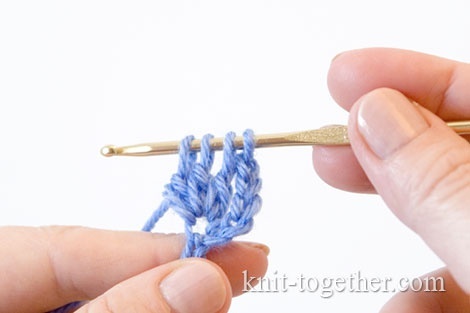 In our example we will use 3 double crochet (3dc), but you can use more, depending on your pattern. 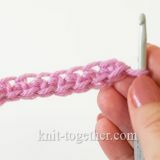 Next, we will learn, step by step, how to make a Bobble Stitch (3dc bobble). 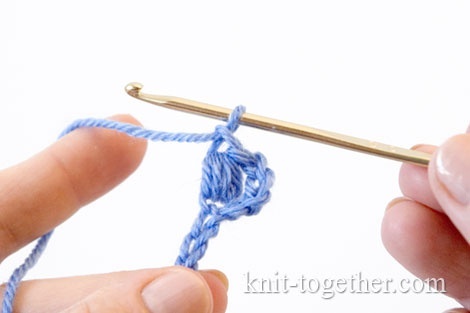 Make yarn over and insert your hook into in the desired stitch (or in space). Grab the working yarn and pull it. 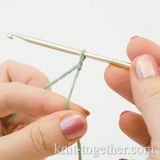 Then again grab yarn and pull it through first two loops on the hook. We made an incomplete double crochet stitch. Now, there are 2 loops on your hook. This operation is repeated three times. As a result, you should have 4 loops on your hook. 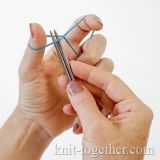 Grab working yarn and pull through all 4 loops on your hook. We made one Bobble Stitch done! Important: I note that you are cannot make Bobble Stitches abutting each other. Because if you do, then your work will be squashed and not beautiful. 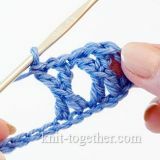 That is why, you must between these stitches to make 1, 2 or more chain stitches depending on the pattern. 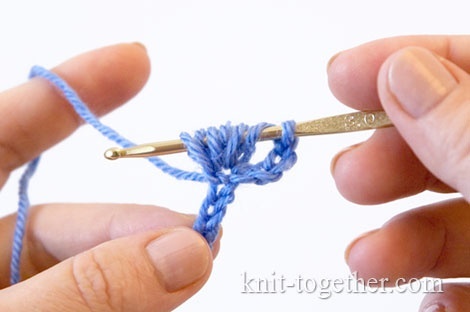 The Puff Stitch is made exactly the same as the Bobble Stitch: the bundle of incompleted stitches has one base and common top. 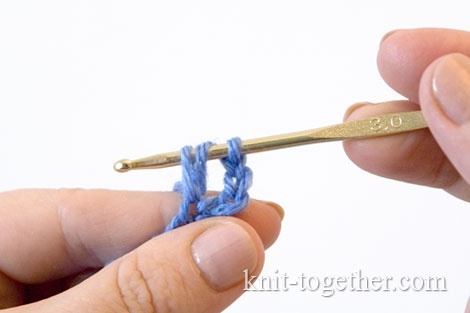 But, to make a Puff Stitch we will use a half double crochet and not the double crochet (or taller). 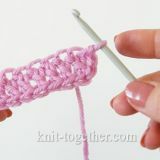 In our example we will use 3 half double crochet (3hdc). Next, we will learn how to make a Puff Stitch (3hdc puff). 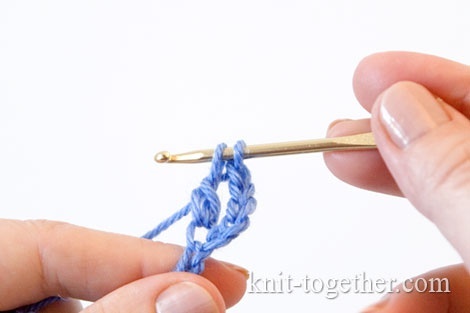 Make yarn over, insert your hook into the loop, grab the working yarn and then pull up a fairly long loop, approximately equal to the height of the half double crochet. We made an incomplete half double crochet stitch. This operation is repeated several times, in our case three times. As a result, you should have 7 loops on your hook. Then again catch the working yarn and pull it through the all seven loops on the hook. We made one Puff Stitch done! Often these stitches completed with a chain to secure the stitch.